Monday, September 26, Belmont Country Club will be filled with “celebrity waiters” and friends of the Toledo Symphony League. The evening will feature a bountiful appetizer buffet, silent auction, music by the TSO Jazz Trio, and (best of all! ), an opportunity to celebrate the League’s 65th anniversary! 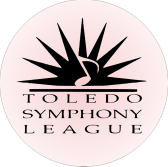 Members of the League’s “Waiter Corps” include Zak Vassar, TSO President, Shelli Jacobs, Toledo Opera Guild President, Cathy Fifer, TSL President, Marlene Uhler, Susan Lang, Rusty Phlegar, Lynda Gilbert, and Beth Bowman. Other waiters will be joining the fun. Tips collected by the waiters make up the majority of the evening’s profit. Please tip generously. All tips are tax deductible. For a bit of a twist, the Jazz Trio will play in the after dinners/dessert hour. Plan on watching the sunset over Belmont while enjoying tidbits from the dessert buffet and listening to great jazz. Cost for dinner is $40.00. If you have any questions, contact Beth Bowman, Wait Night Chair at Bowsmom50@sbcglobal.net.